SCREEN SHOTS Page 3 of 3 Click on the images to the right to magnify them. 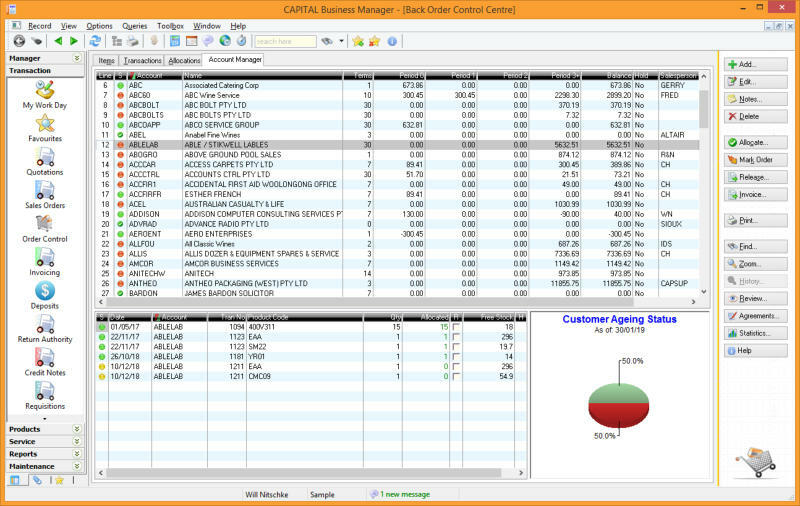 These screen shots were taken using CAPITAL Business Manager V8 & CAPITAL Sales Force Manager V8. Monitor outstanding monies owed by period overdue and individual invoice. 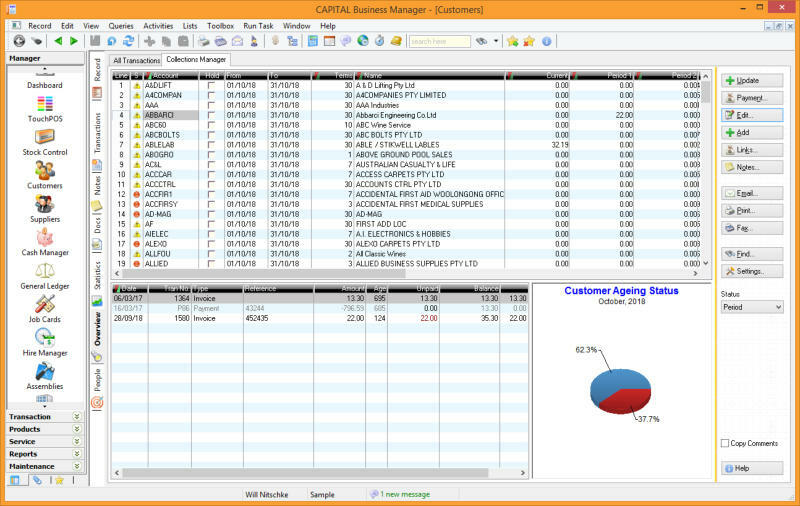 Enter payments and record the outcome of follow-ups. Customers may be conveniently placed or released from ‘hold’ status and multiple staff can work on debt collection duties simulatenously. Monitors order processing and warehouse picking and processing procedures for your business. 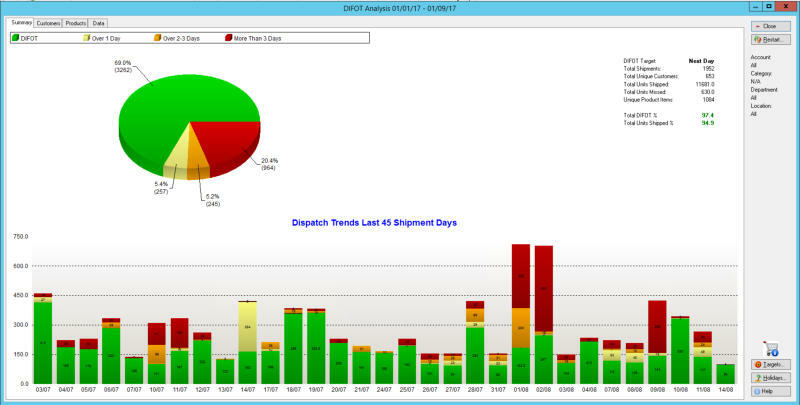 Compare your target dispatch goal -- how quickly you expect to dispatch goods once an order is received -- against actual dispatch dates and times. Record and manage extended warranties and special warranty arrangements for your product lines. 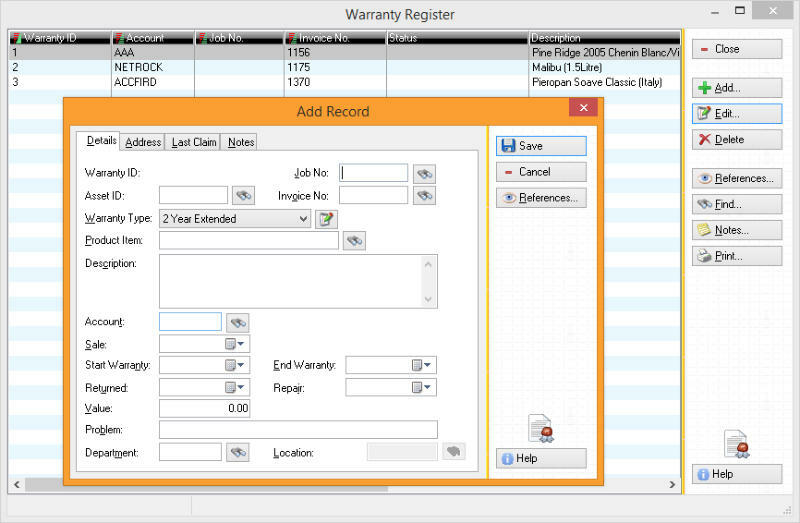 Tracks warranty type, time periods, claims, RA numbers and other relevant claims data. Raise hire and sale items for your customers. Raise agreements and then hire by Hour, Half Day, Daily, Weekly, Monthly, Quarterly, Annually or for a fixed fee. Hire rates are flexible and may exclude selected days such as weekends. 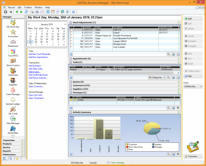 Define grace periods and auto plan switching subject to length of hire. 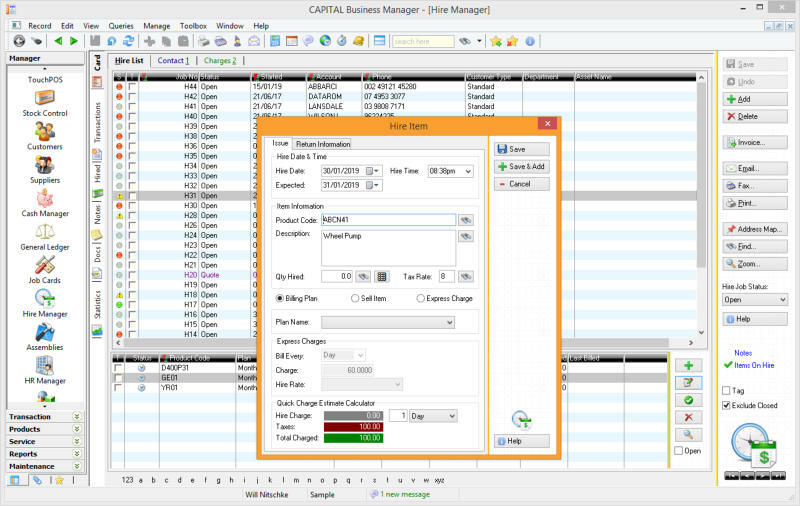 Assign job cards to your field service technicians using a drag and drop user interface. 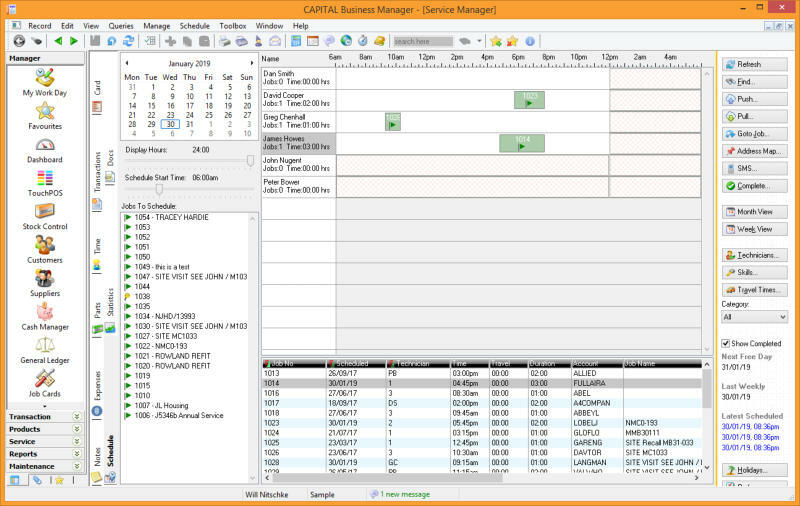 Easily reschedule jobs using your mouse and review technician workload. Send job updates via email or SMS to technicians in the field. Integrates with Google Maps to estimate travel time. 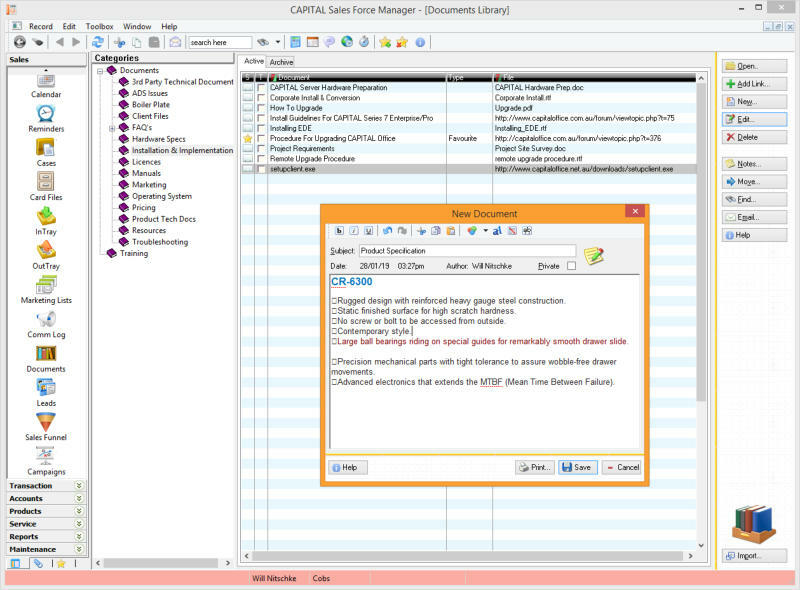 Link, classify and organise documents within your organisation for easy access by staff. Documents may be files on your local server, or web addresses on the internet. 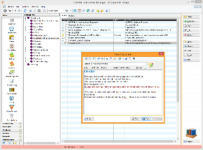 Or create your own documents on the fly. 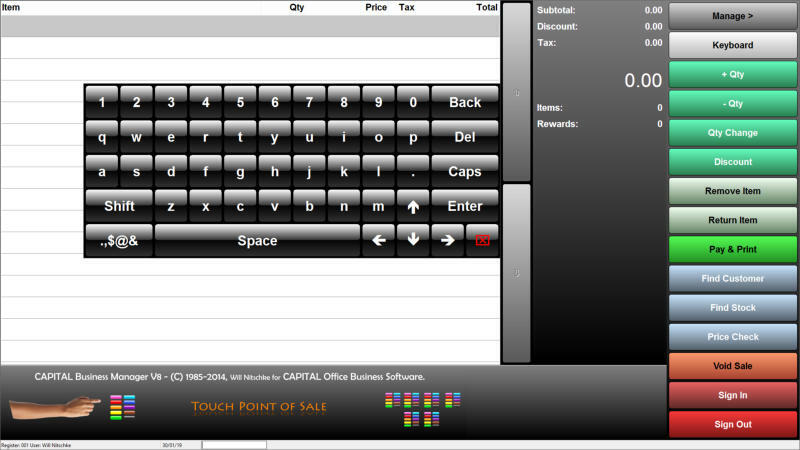 TouchPOS is a fully graphical touch, mouse and scanner operable retail sales user interface. Handles cash and account sales, and even lets operators place goods on back order. The back order account manager lets you review the account credit status of your customers and all orders pending release, before you release ordered goods. 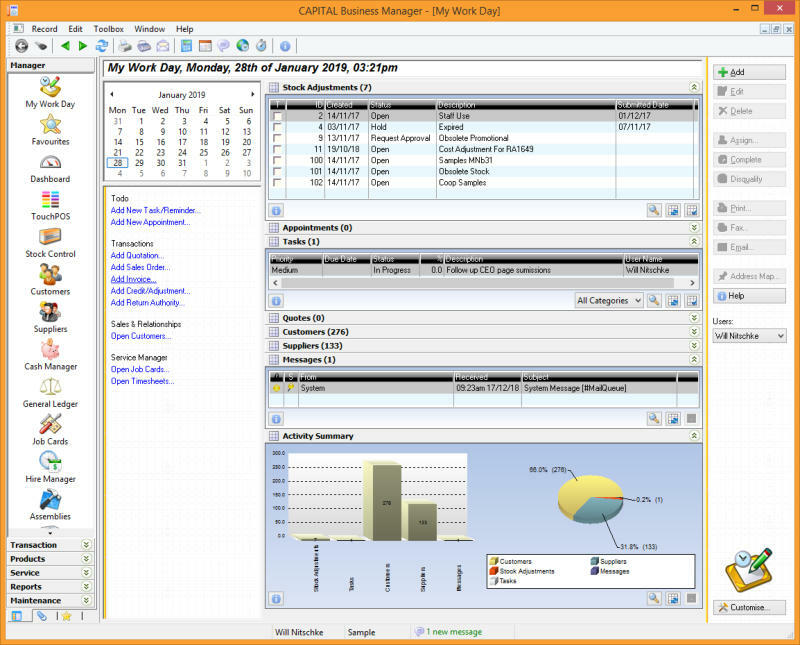 Various customisable ‘roll downs’ let you view on screen your tasks, appointments, quotes (requiring follow-up), service jobs, unread mail and unpaid invoices and expenses.